سواءً كنت مسافراً بغرض السياحة أو العمل, Quest on Bourke هو خيار عظيم للإقامة خلال زيارتك ملبورن. يحظى هذا الفندق ذو 4 نجمات بمكان ممتاز يسمح بالوصول إلى المعالم السياحية الأكبر في المدينة، فهو يبعد مسافة 0.01 Km عن صخب المدينة. سوف يعشق النزلاء موقع هذا الفندق، فهو قريب من أهم المعالم السياحية في المدينة كمثل Aboriginal Handcrafts, Original & Authentic Aboriginal Art, Altman & Chemy . 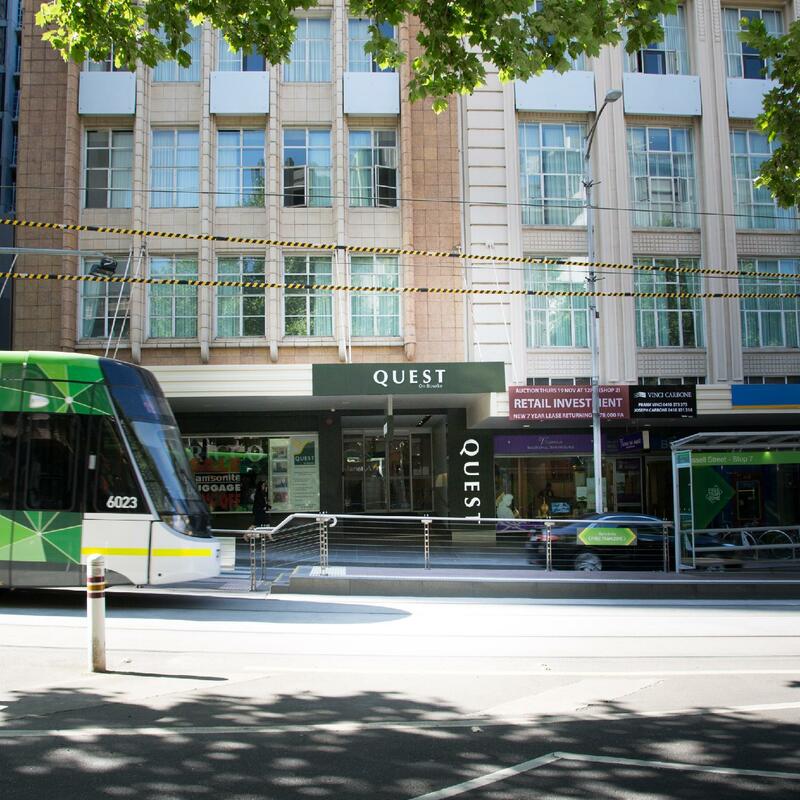 إن Quest on Bourke حريص على توفير الراحة للنزلاء، فلا يوفر الموظفون جهداً في تقديم أفضل الخدمات وضمان حسن الاستقبال. يقدم الفندق فرصة للاستمتاع بشريحة واسعة من الخدمات بما فيها: تسجيل وصول/خروج سريع, تخزين الأمتعة, واي فاي في المناطق العامة, صف السيارات, التوصيل من وإلى المطار . تنعكس أجواء Quest on Bourke في غرف الضيوف.تلفزيون بشاشة مسطحة, حوض الاسترخاء, غرف لغير المدخنين, مكيف هواء, تدفئة هي بعض الميزات الموجود في العديد من الغرف. يقدم الفندق العديد من الفرص للاستجمام كمثل مركز للياقة البدنية. استمتع بخدمات لا يعلى عليها وعنوان ذو اعتبار في Quest on Bourke . شقة عادية من غرفة واحدة. Ideally located and central to everything. Love the fact the tram stop is right out the front of hotel. It is the third time we have stayed at Quest on Bourke and a Great place to stay. The Executive apartment is spacious and a good size for a group of 4 or more. Thank you for review on our recent stay. Your comments regarding the cleanliness of the apartment will be brought to the attention of the housekeeping department and processes reviewed. We like our guests to relax and enjoy their time with us so we do not disturb our guests on Sunday or Public Holidays, we find out guests appreciate this and if additional amenities are required guests are able to contact our friendly front office team who are able to assist. This information is outlined on all booking platforms, in room compendium, reservation confirmation and welcome letter. Thank you for your feedback. Great location, parking expensive, room ventilation not great, toilet air suction poor, wifi not included in the deal. Thank you for your feedback on your recent stay and bringing this points to our attention. 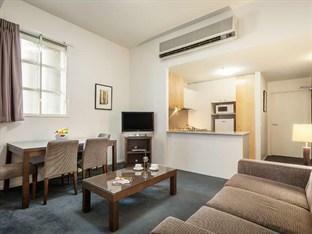 Yes, the hotel is located in the heart of Melbourne CBD which is perfect to explore the city. Parking is off site at secure park, however there are other off site parking locations with in Melbourne to chose from. Thank you for your feedback. Cleaners never replenished bathroom or kitchen needs. Had to go to reception . Dishwasher wouldn't work, staff member came in punched the door and it worked . We had an executive corner suite which was lovely. Had a few air con issues but the staff were very helpful. Overall a great place to stay. Ideally located and deal through Agoda was great. Apartment needs to be updated and would not be worth the normal rack rate. Shower over bath makes it extremely tricky to get out of and aircon unit needs to be updated. Sound and looked like something out of the 80’s and didn’t work very well. Great location though. free wifi would have made this experience better as i had to find wifi out of the hotel whenever needed throughout our stay. The washing machine was hard to navigate and there was limited supplies e.g. tea/coffee buscuits. other then that the set up cleanliness was good and the location was great! We requested and paid for an extra bed and it wasn't provided. Prompt response and refund. Air con wasn't great and switched off a few times. Fantastic price and locarion though and will definitely be back.